Johnson Bros. (Printers) Ltd. With thanks to Bill Snow of Castle Point Council who allowed us to copy this document. 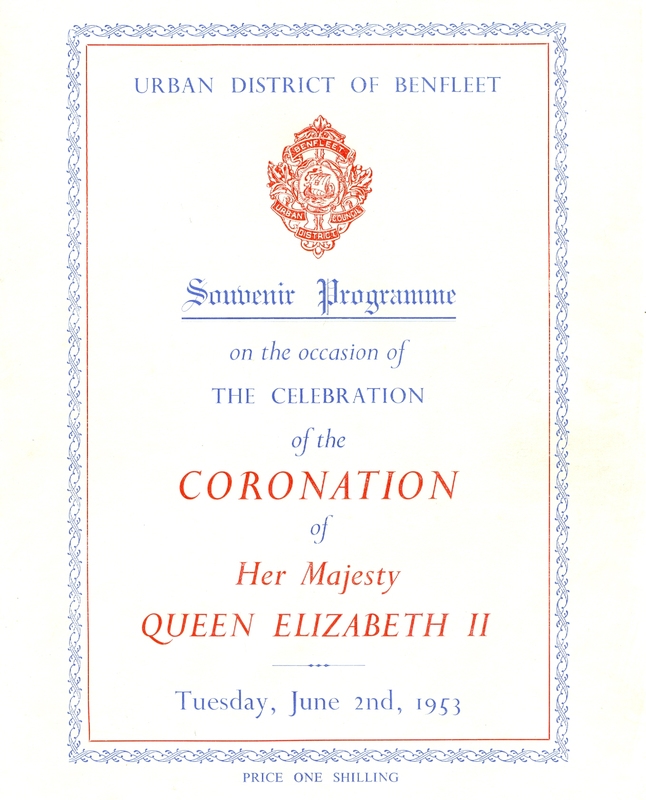 The ceremony for the Coronation of Queen Elizabeth II took place on the 2nd June, 1953 at Westminster Abbey. However, all across the country the people celebrated with street parties. 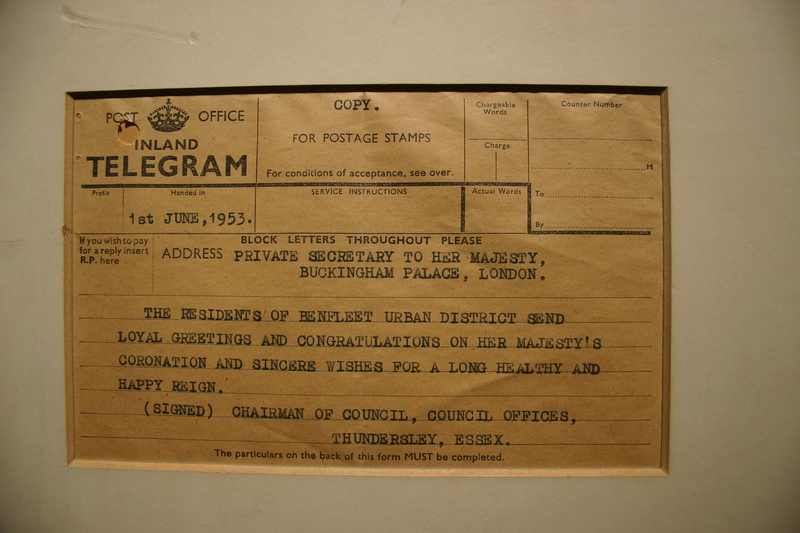 In Benfleet, the local council, then known as Benfleet Urban District Council, arranged its own celebrations. The Souvenir Programme printed for this day (see foot of this page) has 26 pages filled with details of events and advertisements placed by local shopkeepers. Also included within the programme were details of a flower garden competition and a house decoration competition. On Sunday May 31st there was a Special Coronation Open Air Service, to which all residents were invited. This service took place at King George V Playing Field in Shipwrights Drive. Music was by the Band of the Salvation Army, with a parade of Uniformed Contingents of various services and organisations. On Coronation Day, the Opening Ceremony, again on the King George V Playing Field, included a fanfare by trumpeters of the 1341 (Thames Estuary) Squadron of the Air Training Corps. Followed by the Breaking of the Flag, Royal Salute and National Anthem. The carnival procession did not take place as originally billed. 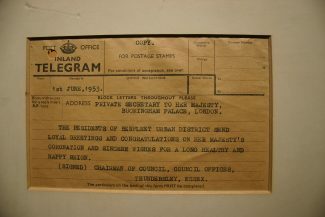 The Special Notice in the programme gives details that the entrants should assemble on the King George V playing field. Other events on this day included a March Past, Punch & Judy Show, archery display, a physical training display by the A.T.C. a concert by the San Toy Dancing Academy and a dance in the School Hall featuring the Bob Kingston Band. Also on this day a Coronation Bowls Match took place at Benfleet Playing Fields, between Benfleet and Hadleigh Bowling Clubs. At dusk there was community singing followed by a Grand Firework Display and Bonfire. Exhibitions and amusements included, a fun fair with over 200 stalls, bowling for the pig, miniature golf, archery, handicraft displays, pony rides and many other attractions. Light refreshments were made available at the ‘Hollywood Club’ where two marquees were erected. On various days in May, prior to Coronation Day, there were other events, including a Motor Cycle Scramble which was held at the Salvation Army Land, Castle Lane, Hadleigh an Old Time Dance held at Benfleet County Secondary School (now known as The King John School) and a Horse Gymkhana which was held at Runnymede Chase, Kiln Road, Thundersley. Forthcoming events included a Grand Cricket Match to be held at John H Burrows Recreation Ground, Hadleigh and Coronation Cup Speedway Meeting at the Rayleigh Weir Stadium. 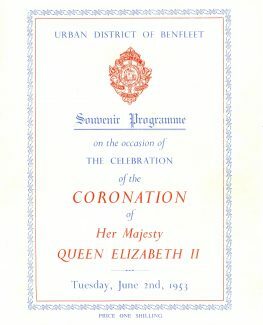 On the presentations page of the brochure, Benfleet Urban District Coronation Committee state that ‘every school child in the Urban District of 5 years of age and upwards, will be presented with a special Coronation edition of the New Testament suitably inscribed’. 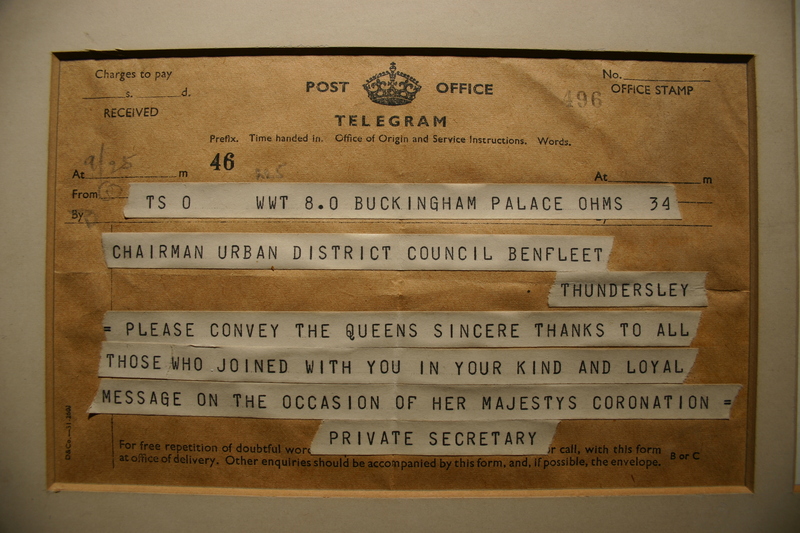 Furthermore, ‘Benfleet Urban District Council will present a Savings Certificate to each baby born to residents of the Urban District during Coronation Week’. If anyone reading this article is in possession of the presentation items mentioned above, we would be very pleased to hear from them via the comments area at the bottom of this page. 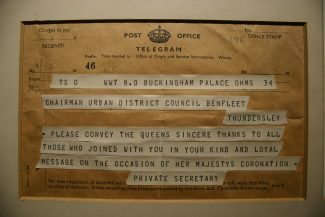 Also, if you have any memories or photos of Coronation Day in Benfleet, please help us to record this information for future generations.